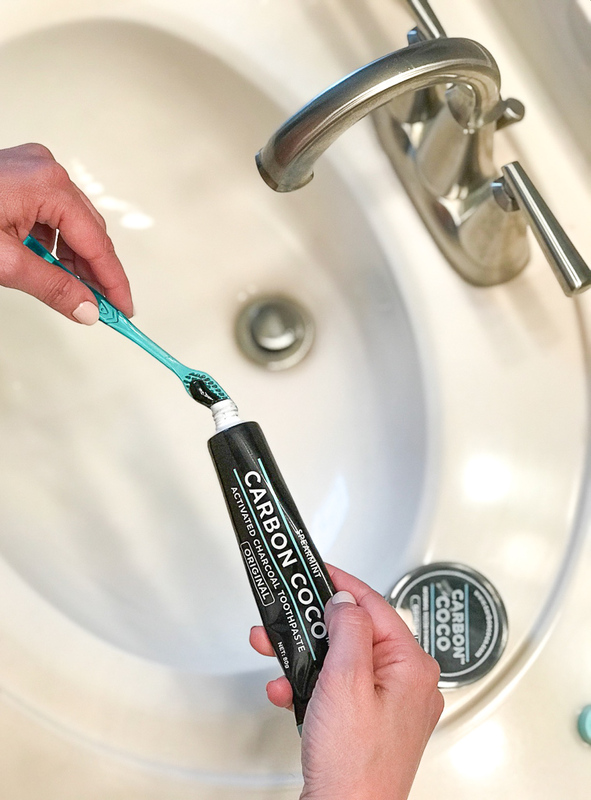 There’s a lot of buzz around charcoal infused products lately, so I decided to try out Carbon Coco’s Activated Charcoal Tooth Polish and Toothpaste all the way from Australia 🙂 At first, I was apprehensive to try Carbon Coco because I had a lot of questions about the ingredients and how it would effect my gums and teeth. I have tried whitening gels on my teeth (in the past year) and had to stop because the gel really irritated my gums. I have to say that the charcoal tooth polish and toothpaste did not hurt my gums! It’s a really easy process to follow and doesn’t take too much time to do. The products clean and whiten teeth, prevent bad breath, remove plaque and reduce harmful bacteria growth. The products are vegan-friendly and cruelty-free as well! What else could you ask for?! The only thing I’d say to be careful about is that the charcoal polish might get a bit messy, so make sure to clean your sink area right away so it doesn’t stain. Other than that, I will continue using Carbon Coco at night. Results are usually seen in 7-14 days. 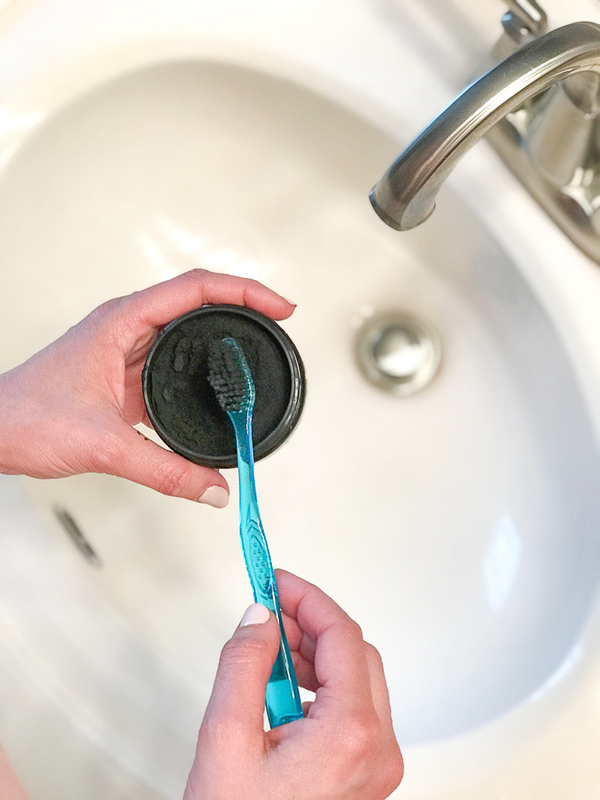 First, you apply the Activated Tooth Polish by dipping the wet toothbrush in the jar (just lightly coat the brush – a little goes a long way! ), brush in gentle circles for 2-3 minutes, rinse and brush with the toothpaste. 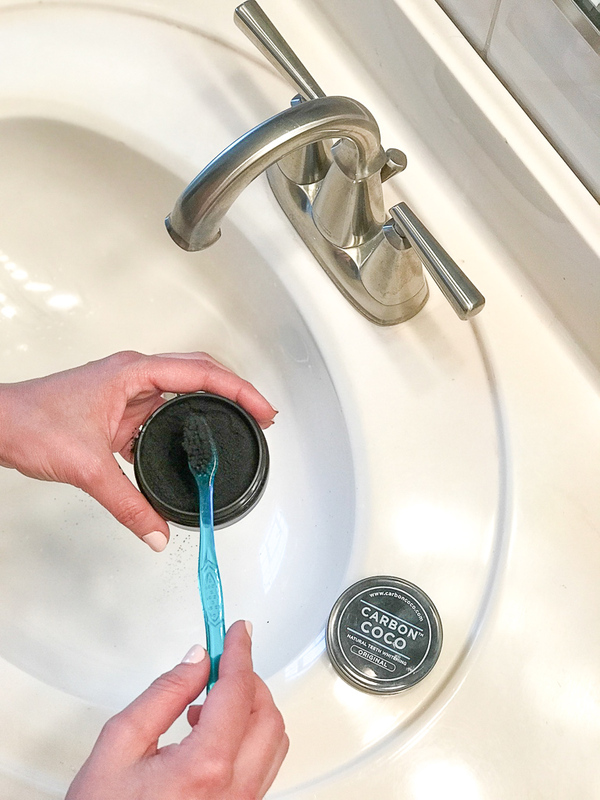 Then you brush with the Activated Charcoal Toothpaste after using the tooth polish at night for 2-3 minutes in gentle circles. It will start to foam. Rinse out after time is up and go to sleep and wake up with results! *Thank you Carbon Coco for the product. All opinions are my own. I’ve wanted to try charcoal toothpaste forever! I’ll have to give this brand a try!